a beautiful terraced farming/agricultural 11-0-0-0 land,having newly expanded 21 feet road, 22 km far away from balaju by pass ring road upto main highway road from where 3 km down upto land, at Dandagaun 5,Kakani, Nuwakot is on rent. 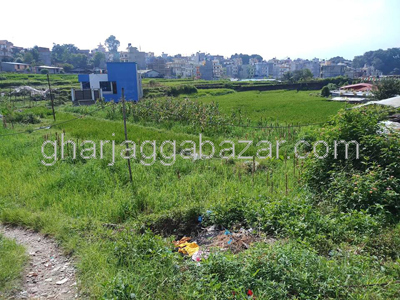 an open land plot of 7-0-0-0, approximately 2.5 km north from chabahil chuchhepati, 1 kitta inside from 20 feet main road having its 10 feet road access at Boudha Simaltar is on rent. a open 0-4-0-0 land with 10 feet inner rough road just 150 mtrs inside from main imadol highway, approx 2 km east from gwarko ring road near bhadrakali petrol pump is on rent. an open 0-13-0-0(4449 sqft)with existing teens tahara, facing northside, just 400 mtrs outside from ring road chowk before ganeshthan mandir, 8-10 feet road, just 2nd kitta from gangabu baniyatar road at Gangabu is on rent.